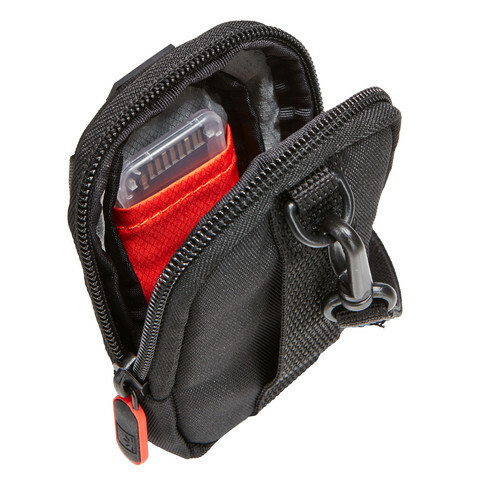 This camera case is tailored to fit most compact digital cameras with carrying options that include a convenient belt loop or detachable lanyard. 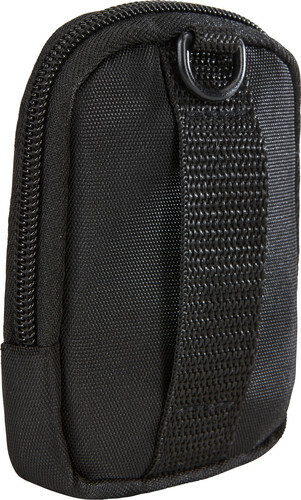 Use this for a phone on a belt loop as I am a landscaper...second time I am purchasing this style...zipper does not last very long, but otherwise it's a good little case. The "one thing" is that the D-ring has slipped through the lanyard attachment clip causing unexpected separation with camera case falling at least 4 times in the 3 months I've had it. Good thing it wasn't hanging over a railing where it could well have fallen into water or become lost in other wyas. Extremely durable and easy to use. As a plus, it is an attractive style. 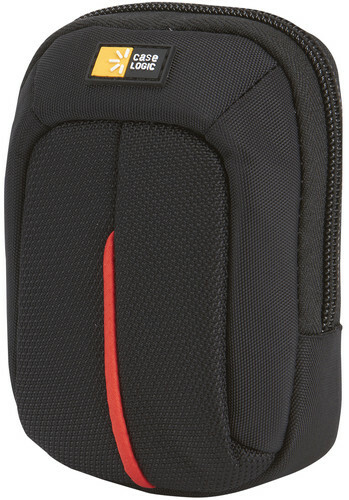 It acts a an excellent shock absorber, protecting my camera when I dropped it several times during the past six months. I have found all case logic products to meet my needs. I didn't buy this case for a camera. 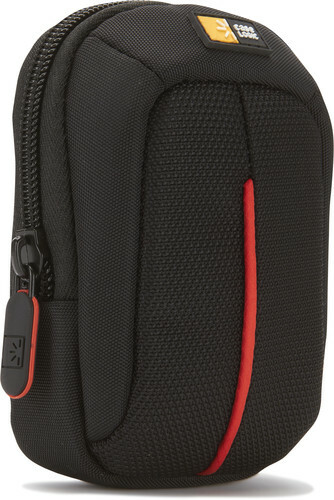 I actually bought it for my Blackberry 9800 because cases made for cell phone don't work!Most cases that are made for cell phones no matter how well made either slip off your belt or don't hold your phone securely and it slips out, possibly losing or damaging your phone. Which can be really, really bad if you have an expensive phone with lots of pictures and contacts in it. This case has a solid loop that can't come off your belt and zips so that your phone can't accidentally get out of the case. 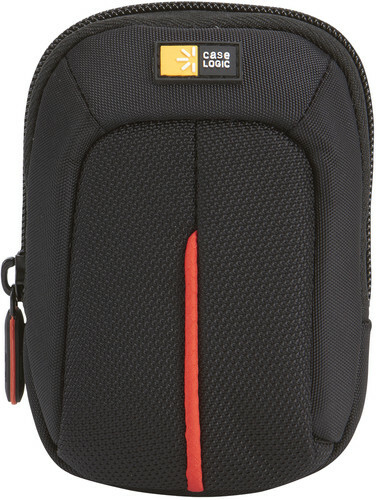 Its sturdy enough for a tech on service call or on vacation rock climbing.I wish the case makers for the cell phone industry would get a clue but until then for my phones, Ill continue to buy camera cases from Case Logic. The belt loop is stronger than most. Very nice, but too small for big-zoom point-and-shoot cameras such as Panasonic Lumix TX5, Casio ZR100 and Canon SX230. They will fit in there tightly, not sure if that's good for them, and leaves no room for spare battery, etc. Just so you don't have to return your case, as I did. NIce case. 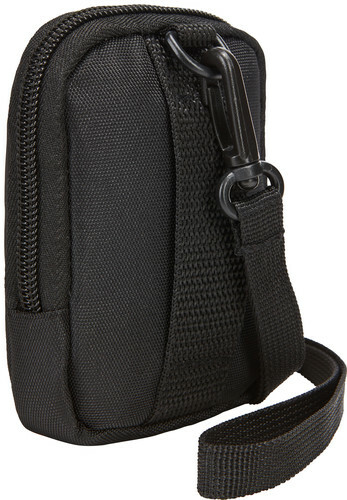 Fits a Fujifilm Finepix AV-100 camera snugly. I liked the slip inside for an SD card. 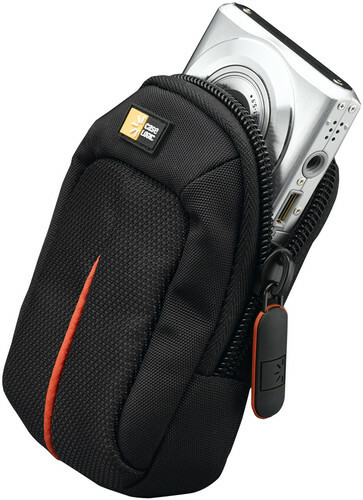 Easy to get the camera out quickly, since the zippered opening goes all the way from one side the opposite. The case seemes well-padded.